The kids and I are fine… but I dread talking to my ex! Studies have shown that after separation you may have a lot of different feelings towards your ex-partner, or be left with guilt or anger. These feelings can last several years, particularly if you found the break-up difficult and hard to accept. Meanwhile, you are probably trying to be a good parent. Fighting with the other parent makes it hard for both of you. The effect on children may include anxiety and distress or problems at school. None of these are positive outcomes. What can I do to change the way we relate? Get support for yourself. Being able to sort through your own feelings will put you in a better position to discuss your children with their other parent. It may help to build a relationship with your ex by considering it as simply as like that of workmates — for the sake of the children. A positive business relationship will lead to more and better quality time between you and your children — even if you never resolve all your arguments! Your actions speak louder than words. Treat their other parent how you’d like to be treated yourself. How do I talk to my ex about the kids? Finding new ways to talk to the other parent can be difficult. It can be harder to respect each other’s point of view than when you were together. But it is worth it. Children feel reassured when they know their mum and dad can calmly discuss the best way to look after them. Your kids need your support in getting on with their own lives knowing they’re not caught in the middle. If you can’t spend a few minutes chatting at the end of contact or at a school function, you can practice being respectful, saying hello, and avoiding conflict (in public)! Kids appreciate it when mum and dad ‘try getting on with one another’. If you can, talk in a relaxed, neutral place such as a local coffee shop or cafe. This way you are both more likely to be polite with one another. If you live a far distance apart then make a time to talk on the phone (when the kids aren’t around to listen in). 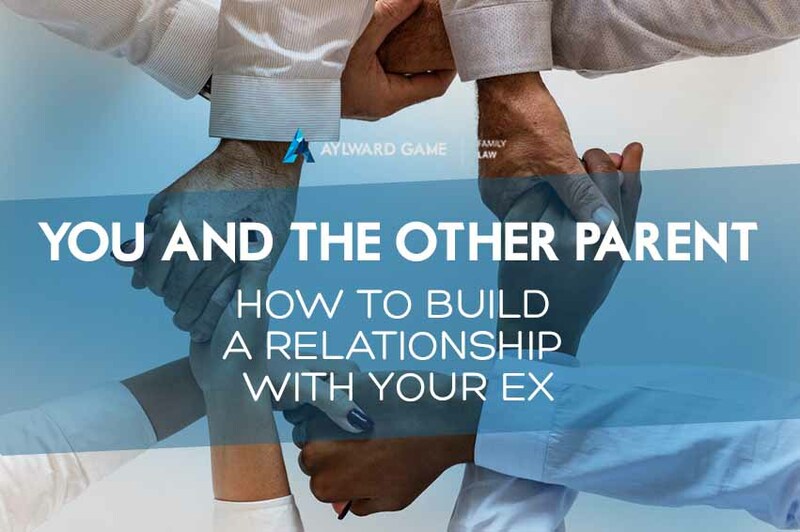 Remember you are trying to build a relationship with your ex for your children’s benefit! We’re meeting soon. How can I make sure it goes OK? Arrange the time and place without involving the children. Have a game plan to help you stay on track. Prepare some notes you can look at. Agree in advance what the meeting is about. Talk away from the children. Conduct phone calls when they are out at sport or visiting friends. Stay calm — you’re both good at pushing each other’s buttons. Don’t get stuck arguing about the past. Stick to what you have agreed. Agree on the easy things first. If you lose track, look at your notes. Otherwise, you could say something you’ll regret. End the meeting by finding something positive to say about the kids. Stop and think — is this helping or making things worse? Decide — do you need outside help so you can talk about the children? Consider counseling or mediation — talk to someone whose job it is to help parents sort out issues. What else can I do to prepare to build a relationship with your ex? Remember you are parents for life… maybe even grandparents! If talking to the other parent is difficult, sometimes a trusted go-between can be helpful. Be sensitive about who you use. Don’t be surprised if things work out very differently to how you expect. Let your words and actions show that you are committed to parenting for the long-haul. Try different approaches in the way you relate until you find what works. Be open to changes as the children grow older. Accept that the relationship has ended. Listen. We all need to feel heard. Plan not to be angry forever. Accept the other parent’s new choices. We look forward to helping you resolve your issue with clarity and expedience to keep you Ahead of the Game.